David Adjaye (2015), Building: Inside Studio Gang Architects (2012); Fashioning the Object: Bless, Boudicca, and Sandra Backlund (2012); Bertrand Goldberg: Architecture of Invention (2011); and Hyperlinks: Architecture and Design (2010). In 2014, she was the curator of the second Istanbul Design Biennial, the Future Is Not What It Used To Be. Ryan has taught graduate seminars on design history and theory at the School of the Art Institute of Chicago and the University of Illinois at Chicago. In 2012, Fast Company magazine named Ryan one of the 50 people shaping the future of design. Lars Nittve was born in Stockholm in 1953. After studies at the Stockholm School of Economics, a M.A. at Stockholm University and Post Graduate Studies at New York University, he served as lecturer in art history at the University of Stockholm during the period 1978-85. In 2009 he was awarded a Ph.D. H.C. by Umeå University, Sweden. During the same period he was an art critic at Svenska Dagbladet, Stockholm, and at Artforum, New York. In 1986 Dr Nittve was appointed Chief curator at the Moderna Museet in Stockholm. In 1990-95 he served as founding Director of Rooseum - Center for Contemporary Art in Malmö, Sweden. In July 1995, Dr Nittve became Director of the Louisiana Museum of Modern Art in Humlebaek, Denmark. In the spring of 1998, he was named the first Director of Tate Modern, London. On November 1, 2001, he took up his post as Director of Moderna Museet in Stockholm . January 2011 – January 2016, Dr Nittve has been the Executive Director, M+, Hong Kong. From February 2016 is he CEO and Chairman of Nittve information Ltd (Hong Kong) and Nittve Information AB (Sweden). Founding Partner of Neri&Hu Design and Research Office. NHDRO is an inter-disciplinary international architectural design practice based in Shanghai, China. In 2014, Wallpaper* announced Neri&Hu as 2014 Designer of The Year. In 2013, Mr. Neri was inducted into the U.S. 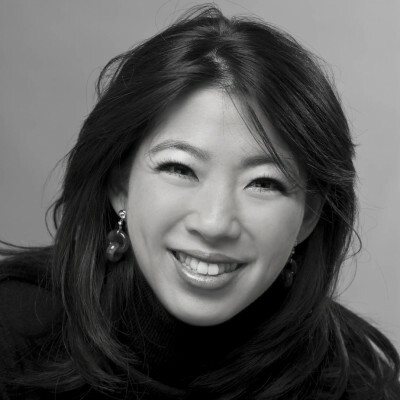 Interior Design Hall of Fame with partner Rossana Hu. The practice was selected as the 2011 INSIDE Festival Overall Winner, won AR Awards for Emerging Architecture 2010 by Architectural Review (UK) and one of the Design Vanguards in 2009 by Architectural Record (US). In 2006, Mr. Neri was selected by I.D. Magazine as one of the 40 designers globally who deserve more attention in “I.D. 40”. Mr. Neri received his Master of Architecture at Harvard University and his Bachelor of Architecture at the University of California at Berkeley. 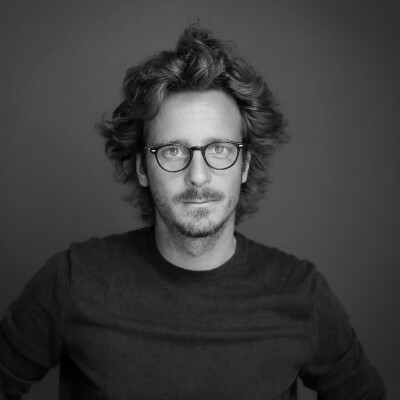 Mr. Neri is also designing products for brands including MOOOI, LEMA, Parachilna, Classicon, Gandia Blasco, Stellar Works, Meritalia, BD Barcelona Design, and neri&hu. Defying the conventional classification of design disciplines, Thomas founded Heatherwick Studio in 1994 to bring the practices of design, architecture, sculpture and urban planning together in a single workspace. 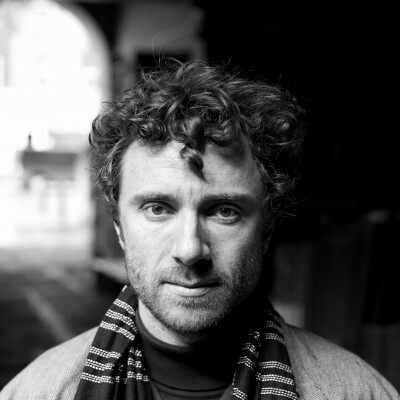 Thomas leads the design of all Heatherwick Studio projects, working in collabora- tion with a team of 170 highly skilled architects, designers, and makers. Thomas’ unusual approach challenges every brief from first principles, to produce unique solutions for each project’s needs. In applying artistic thinking to the needs of modern cities, the team is engaged in creating some of the most acclaimed and memorable projects of our time. Based in London, Heatherwick Studio is currently working in four continents on projects valued at over £2 billion. Its international reputation is founded on projects such as the UK Pavilion for the Shanghai World Expo in 2010, the Olympic Caul- dron for the 2012 London Olympic Games and the design of the New Bus for London. Having recently completed a major new university building in Singapore and a gin distillery in Britain, the studio’s current projects include the Garden Bridge over the River Thames, eight million square feet of mixed-use development in Shanghai and the new glass-domed Google campus in Silicon Valley. Thomas trained in three-dimensional design in Manchester and at the Royal College of Art in London, and has been appointed a Commander of the Order of the British Empire. He is also an Honorary Fellow of the Royal Institute of British Architects, a Royal Academician and in 2004 became the youngest Royal Designer for Industry. 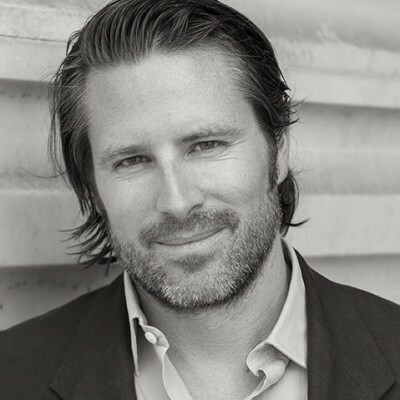 Appointed as Executive Director of Design Miami/ in January 2014, Rodman Primack has spent his career immersed in the world of design and art, and has held leadership positions in every aspect of the market. He was most recently a Senior International Specialist at Phillips de Pury & Company in New York, and Chairman of the auction house’s London office from 2004 to 2010. Rodman had previously served as a Director of the Gagosian Gallery in Beverly Hills, CA; Associate Vice President and Head Specialist of Latin American art for Christie’s, New York and Designer for Peter Marino Architect, New York. 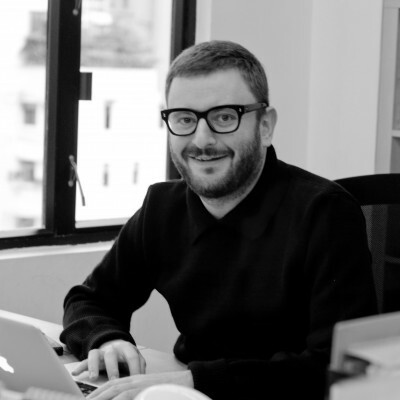 He served as the Director of Auctions for the online platform Paddle8 for the past two years, and also ran a successful design consulting practice, RP Miller. A fifth generation Californian, Rodman resides in Miami and New York City. Franch is an architect. In 2004 she founded her solo practice while building in Catalonia. 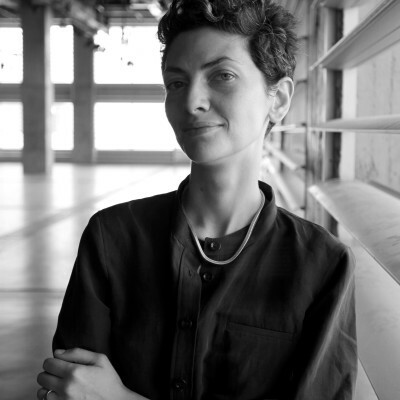 Since 2010, Franch is the Executive Director and Chief Curator of Storefront for Art and Architecture. Franch has taught at Columbia University, the IUAV University of Venice, SUNY Buffalo and at Rice University. At Storefront, her most recent projects include the launch of the global platform WorldWide Storefront and a new publication series in partnership with Lars Müller, In 2014, the State Department selected Storefront and Franch jointly with a curatorial and design team to represent the U.S. at the 2014 Venice Architecture Biennale with the project OfficeUS. She lectures internationally on art, architecture and the importance of alternative practices in the construction and understanding of public life. 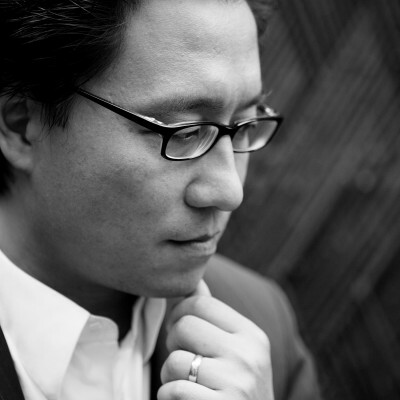 Keith Tam is a typographer, information designer, teacher and researcher. He is currently an assistant professor at the School of Design of the Hong Kong Polytechnic University, where he heads the Communication Design programme and the Information Design Lab. Prior, Keith taught and practiced communication design in Canada. Keith’s research and pedagogy focus on the interrelationship between typography and information design, with particular interest in complex documents and multilingual issues. Keith holds a BDes in Communication Design from the Emily Carr Institute, Canada and an MA in Typeface Design from the University of Reading, UK. He is also currently a PhD researcher at the University Reading. Suzy Annetta is the Co-founder and Editor-in-Chief of Design Anthology magazine, which showcases her unique editorial eye and passion for the built environment from interiors to urban planning. In under four years the magazine has become a landmark in publishing all things design in Asia, as well as an acclaimed platform for the regional design scene. A Hong Kong resident of 12 years, Suzy has worked for award-winning local design firms as well as managing her own design studio. 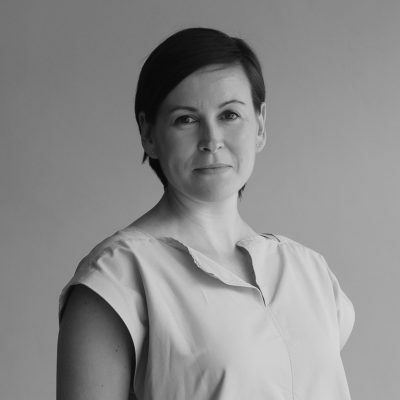 She is also passionate about sharing her wealth of design knowledge; having originally studied Interior Design at RMIT in Melbourne and complemented this with a BA in Hotel Design from NDA, she now lectures part-time at Insight School of Interior Design in Hong Kong and contributes to the field through industry events such as fairs, seminars and public forums. 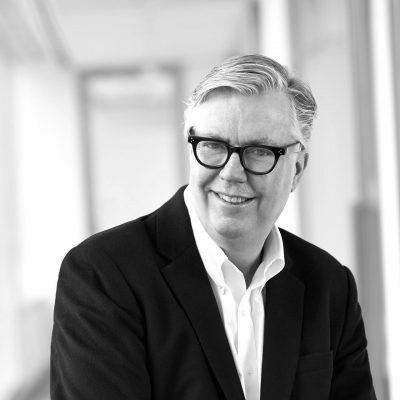 Cole Roskam is an associate professor of architectural history and theory in the Department of Architecture at the University of Hong Kong, where he has taught since 2010. His research examines architecture's role in mediating moments of transnational interaction and exchange between China and other parts of the world. His articles and essays have appeared in AD (Architectural Design), Artforum International, Architectural History, Grey Room, and the Journal of the Society of Architectural Historians, among others. 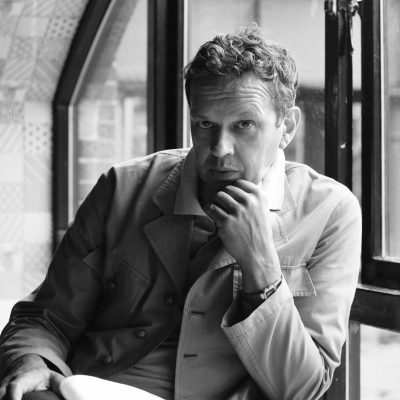 Ole Bouman, former Creative Director of the Urbanism/Architecture Bi-City Biennale Shenzhen (2013-14), is now the director of Design Society, Shenzhen. 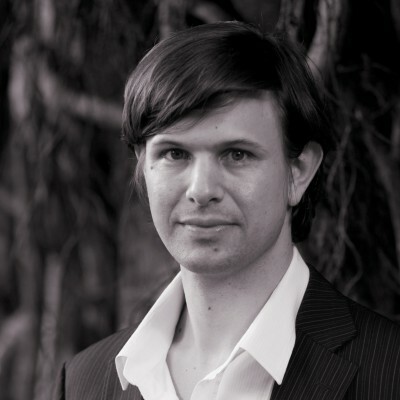 Since mid 1990s Ole Bouman has shown outstanding achievements in writing, curating and teaching. He was the editor-in-chief of Volume. 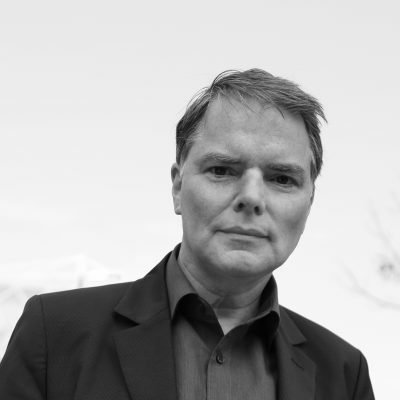 His publications include The Invisible in Architecture (co-author, 1994) and Architecture of Consequence (2009). Meanwhile, Ole Bouman was the director of Netherlands Architecture Institute (NAI). He was involved in and curated Manifesta 3 (2000), the architecture Biennales of Shenzhen, São Paulo and Venice, etc. Besides, Ole Bouman taught architecture at the Massachusetts Institute of Technology. 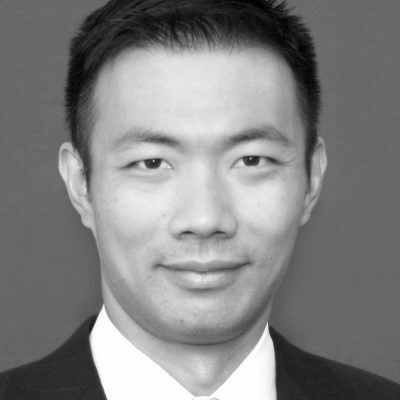 Andrew Au joined Cazenove Capital Management Asia in September 2014 as a Client Director. He is focused on servicing the family offices, foundations and charities in Hong Kong. Andrew was a research analyst with Cazenove Asia Limited (corporate broking) from 2000 to 2003 and from 2005 to 2010. He was responsible for the research of the Asia-Pacific Transportation and Infrastructure sectors and gained significant recognition from institutional clients. He joined his family business in 2010 where he helped to establish a family office and managed the family investments. Andrew graduated from Imperial College London with a Master of Engineering (Honours) degree in 1997 and began his career with Cathay Pacific in Hong Kong. 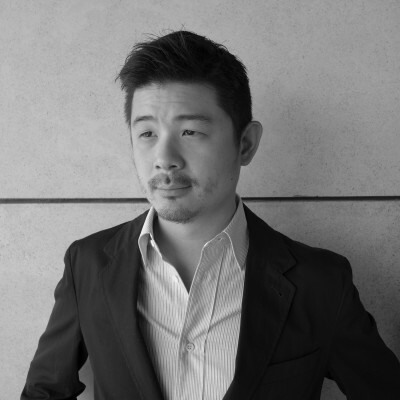 Mr. Leslie Lu received his Master of Architecture Degree from Yale University, and was the recipient of the Japan Ministry of Culture Monbusho Scholarship, where he conducted research in design and urban theory in Tokyo, Japan. Mr. Lu was Visiting Professor at Yale University and Delft University of Technology. 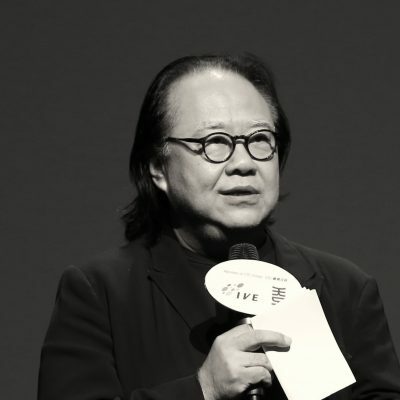 Mr. Lu lectured and served as design critic in major international universities including Columbia University, Delft University of Technology, Princeton University, Yale University, Shenzhen University, Tongji University, Tsinghua University and the Chinese University Hong Kong. throughout Asia. 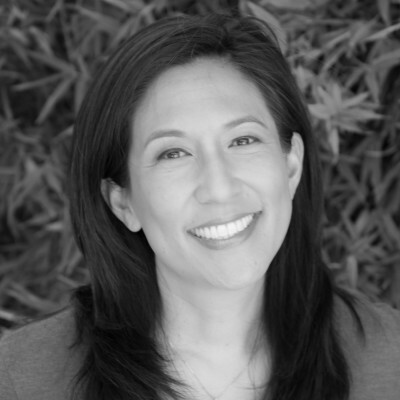 Previously, Ms. Miao was a program officer at The California Endowment, a healthcare foundation that serves the state of California, as well as Program Manager for the Getty Foundation, the grantmaking arm of the J. Paul Getty Trust. Ms. Miao holds a BA and an MBA from UCLA. Winnie is a dot connecter; those dots may be people, places, perspectives, ideas, experiences, resources, or media & cultural messages. 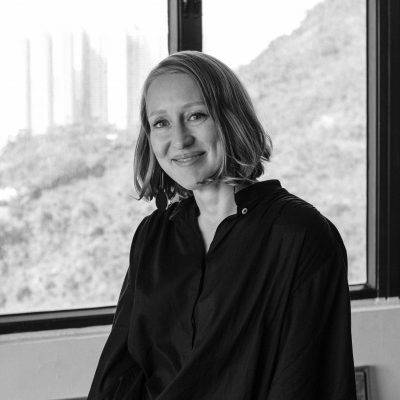 Before moving to Berlin in 2015, she had lived in Hong Kong for 22 years working on projects ranging from teen development (case studies for The Women’s Foundation) to promoting Hong Kong’s artists and art scene (through The Peninsula Hotel and Hongkong Land). 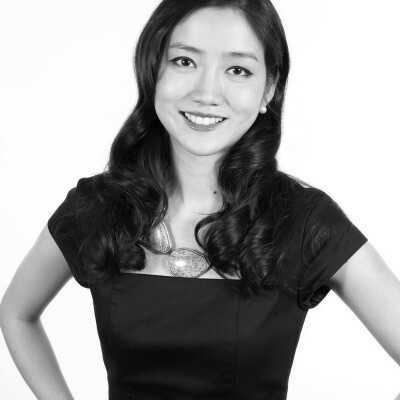 She has degrees in history (focused on art & architecture), business, and psychology from the U.S., France and Hong Kong. Her main interest revolves around exploring how human experiences and potential are shaped and created by investigating and connecting multiple disciplines such as history, language, economics, arts &culture, neuroscience, philosophy, psychology, spirituality etc. Dr. Tat Lam founded Shanzhai City after dedicating over a decade of working in urban, informal, and village developments throughout China, identifying the need for the creation of a social development agency that addresses both market and policy failures in a rapidly developing country. An insightful expert in China’s developmental issues, Tat directed an urban development think tank in China (URB), consulting private and government entities on large-scale developmental projects,, with clients such as China government entities, urban planning commission in many cities, Vanke Group, Poly Real Estate Development, and grassroot underserved communities in both rural and urban China. 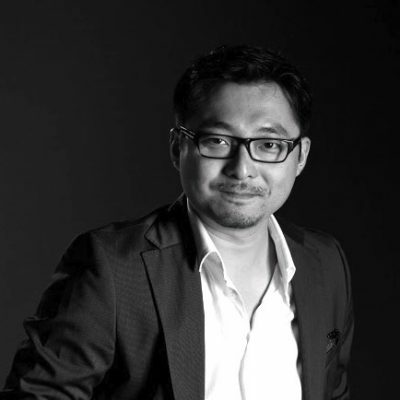 Dr. Tat Lam developed anthropological research methods for socio-spatial design during his doctoral degree at The UCL (London) from which was applied towards his consultancy practice in China. As lead research scholar and founder at China Megacities Lab at Columbia University since 2007 and faculty member of the Chinese University of Hong Kong, Dr. Tat Lam is intimately involved with international academic resources. Most recently Dr. Lam was executive curator of the Hong Kong Shenzhen Bi-city Biennale of Architecture and Urbanism in 2013. William spent 18 years working in the advertising industry in Hong Kong. 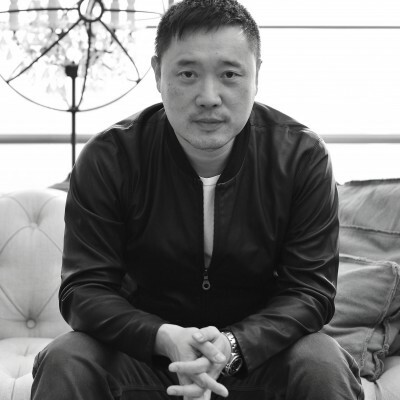 In 1992, he founded his own agency - Vision Integrated Communications Ltd. Later on in his career, William became brand consultant to some of his clients, helping them launch their brands and products in Hong Kong and China. 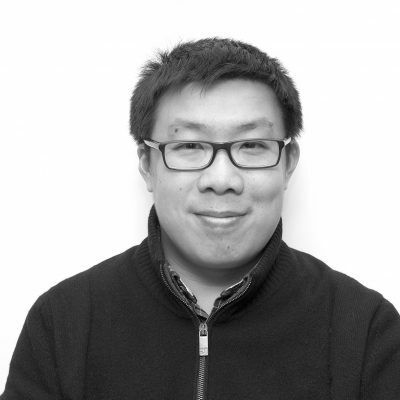 William joined Hong Kong Design Centre in 2005 and is responsible for their flagship events – Business of Design Week (BODW), Knowledge of Design Week (KODW 2006 - 2012) and Design for Asia Awards (DFAA 2006-08). In Aug 2012, William joined PMQ – a newly launched creative platform for design entrepreneurs. He is responsible for creating events and programs on site and collaborating with overseas partners. 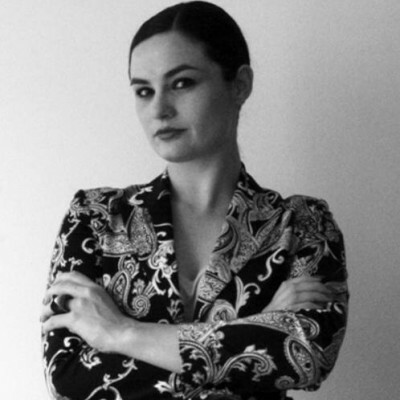 Stephanie is Director of CdD, a boutique arts PR specialist agency based in Hong Kong, developing strategic media campaigns for blue-chip clients including Galerie Perrotin, Simon Lee, de Sarthe as well as luxury companies such as Swarovski, Perrier-Jouet, and Espace Louis Vuitton among others. 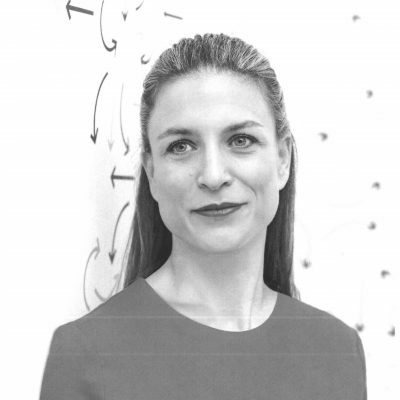 Prior to setting up CdD, Stephanie served as Director of Intelligence Squared (Hong Kong), which she joined from a leading London cultural communications consultancy. Stephanie has a wealth of experience in handling comprehensive press campaigns, events and crisis management for high-profile clients. She is also actively involved in the local and international art scene. She graduated in History of Art from Cambridge University and holds an MA (Cantab) in History of Art and an MA (Distinction) in Contemporary Art from Sotheby's Institute of Art. After conducting his primary studies in Italy and Switzerland; his professional training began at the University of Florence where he focused his attention on courses in cultural sociology and anthropology. As part of the 4th generation of ALESSI family, in 2002, he returned to Milan with a view to translating and applying his studies to industrial design, collaborating with Stefano Giovannoni and working freelance. Over the following years, he worked with companies such as ALESSI, PHILIPS, VITRA, FOREVERLAMP, OPPO, LENOVO both through experience within the companies themselves, and as an external consultant through his own studio, GAA Design Farm, founded in 2006. In the following years his work (notably: POP-UP, LUMIERE, FLAME, ABATJOUR) was recognized with the 2008 and 2012 GOOD DESIGN™ AWARD, and was included in the permanent collection of the Museum of Architecture and Design in Chicago, "The Chicago Athenaeum". Eric is a designer focused on the relationships between urbanism, architecture, and art. Together with Marisa Yiu he is a partner of ESKYIU, a studio that has been awarded the Architectural League Prize and featured in numerous biennales. 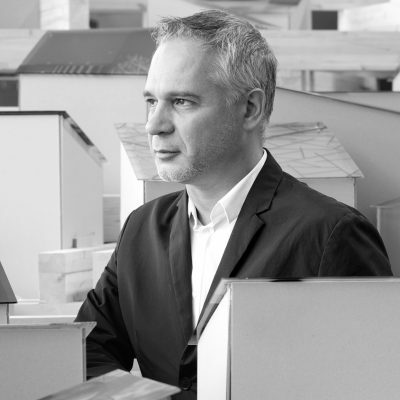 Currently an associate professor at the University of Hong Kong, Schuldenfrei received his PhD from the University of Cambridge and has taught at Princeton, Columbia, and the Architectural Association. 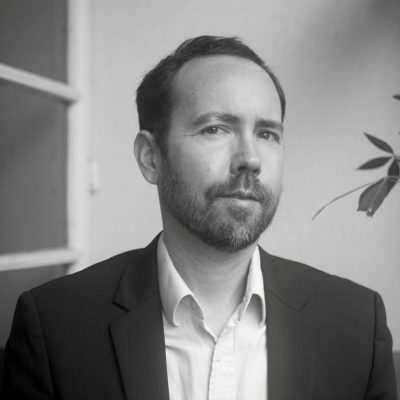 Schuldenfrei served as the Curator of Exhibition, Education, Film, and Media for the 2009 Hong Kong & Shenzhen Biennale and has presented his work at Harvard University AsiaGSD, Cambridge University, and the V&A Museum. Born and raised in France, Arnault founded kapok in 2006 as an antidote to the perceived blandness of Hong Kong retail scene. kapok focuses on designers and brands whose work reflects his attitude towards quality craftsmanship and creativity in design. kapok has grown to a network of 13 stores in 4 countries : Hong Kong, Japan, Singapore and Taiwan. Arnault has developed an extensive knowledge and understanding of the Asian consumer goods and retail environment since 1996, when he moved to Hong Kong. In 2001, he joined the team in charge of the development of the Lomography brand in Asia as the head of Southeast Asian operations. Arnault is also the co-owner and director of Working Unit Limited founded in 2005, the exclusive distributor for the Moleskine brand in Southeast Asia. Aric is Curator of Design and Architecture at M+, the new museum for visual culture being built in Hong Kong’s West Kowloon Cultural District. He previously served as Creative Director of Beijing Design Week, helping to successfully relaunch that event in 2011 and 2012. In addition, Chen has curated and organized numerous exhibitions and projects at museums, biennials and other events internationally, and has been a frequent contributor to publications including The New York Times, Monocle, Metropolis, Architectural Record and PIN-UP.